If you follow a ketogenic diet, you may have heard of something called the Glucose Ketone Index (GKI). But, what is the GKI and is it something that will help you with your keto diet? In this post, we explain what the Glucose Ketone Index is, where it originated, and what it is used for. 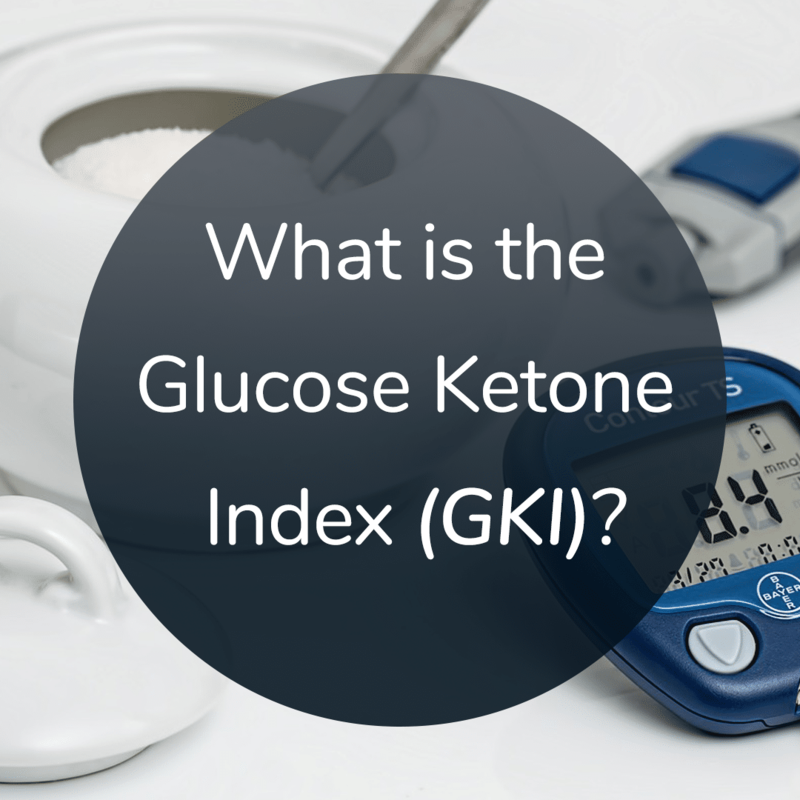 The Glucose Ketone Index is simply the ratio of glucose to ketones in your blood. It is useful in that it provides a single value to monitor your metabolic health. 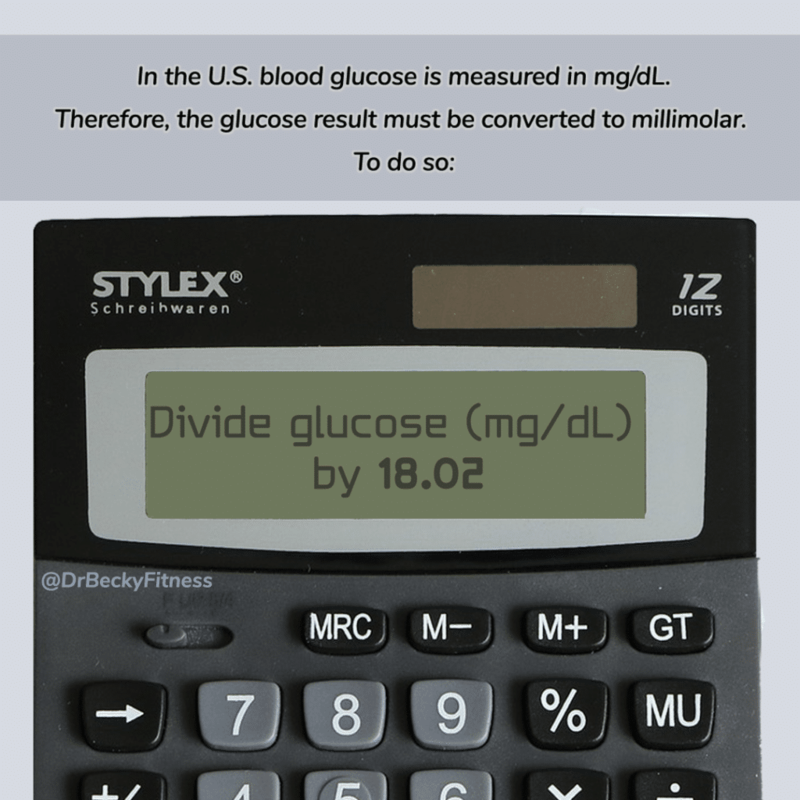 When measuring the GKI, your glucose reading has to be in millimolar units, In the United States, blood glucose/ketone meters measure in milligrams per deciliter (mg/dL), so you need a simple conversion. The factor to change mg/dL into mmol is 18.2. The Glucose Ketone Index was created by Thomas Seyfried from Boston College. He developed the GKI as a measure to more accurately predict how well a therapeutic ketogenic diet will work for the treatment of brain tumors, specifically glioblastoma multiforme (GBM). The brain tumors that Dr. Seyfried was studying are not as good as normal brain cells at utilizing ketones for energy. The energy they run on is glucose. He rationalized that by coming up with the Glucose Ketone Index he could create a single number that describes the glucose to ketone ratio of a patient’s blood. That single value would provide a clear goal that would get the patient to the level in which the cancer cells would starve due to a lack of glucose, while the healthy brain cells would thrive on the available ketones. 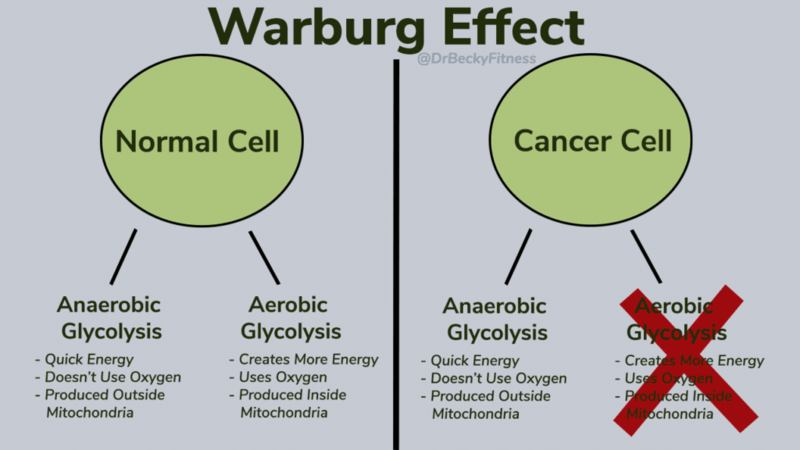 This concept of cancer cells being unable to run on the ketones that healthy brain cells run on has to do with the Warburg Effect. It can go through anaerobic glycolysis. This pathway does not use oxygen. It is a quick path to energy that does not last long (Think sprinters). Anaerobic glycolysis takes place outside of the cell’s powerhouses known as the mitochondria. It is a type of fermentation that makes lactate. It results in only a couple of ATPs being produced. ATP is the energy your cells run on). Aerobic glycolysis takes place inside the mitochondria and utilizes the Krebs Cycle (Citric Acid Cycle) to make many ATPs. 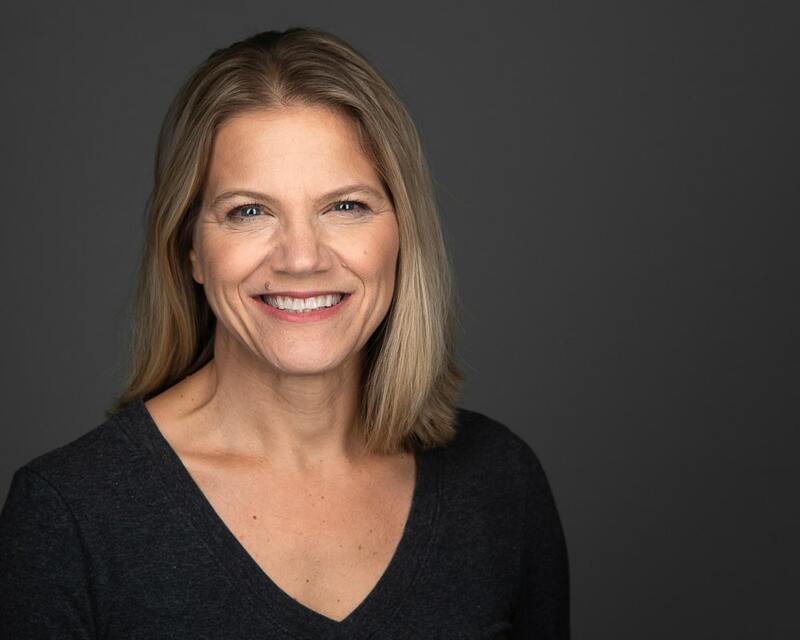 With an understanding of the Warburg Effect, the researchers found a way to extend patient’s lives by using the ketogenic diet. Dr. Seyfried and his team found that a Glucose Ketone Index approaching 1 was the best place for a person to be therapeutically if they were battling brain cancer. Seyfried and his team stated that, with a bit more research, they might be able to use the Glucose Ketone Index as a therapeutic predictor for other conditions, like Alzheimer’s, Parkinson’s, Epilepsy, and varied inflammatory disorders. The GKI was not designed as a measure for weight loss on a ketogenic diet, but it has been adopted as such. We could not find any scientific rationale for adopting the GKI for general health or dieting, and at this stage, it seems a bit arbitrary due to the lack of scientific study. So, keep that in mind if you are looking to use the GKI as a reference for the effectiveness of your keto diet. The following ranges are not from Thomas Seyfried. They are a reflection of the general consensus based on those in the blogosphere. According to the above graph, a GKI above nine means your body is not transitioned into a fat-burning state. If you watch Dr. Keith’s blood test videos on our 2 Fit Doc’s YouTube Channel, you know that his blood glucose tends to run high and his ketones run low. He often has a hard time getting his blood sugar below 90 and his ketones above 0.5. If we do the math, his GKI would typically run around 9.9. According to the chart, that means he is not in a fat-burning state. However, these were typical readings for Keith during his 80-pound weight loss. Dr. Keith recently did a 10-Day Fast. On day four of his fast, his glucose was 60mg/dL (3.33 mmol) and his ketones were about 3.3. Those numbers equate to a GKI of 1.01. In other words, it took four days of fasting for Keith to reach a therapeutic GKI. In Dr. Seyfried’s study, they discussed the use of a low-calorie ketogenic diet, which may have helped the patients drop their glucose and raise their ketones enough to reach a GKI approaching 1. The low-calorie approach may also be useful for patient’s who are insulin resistant. We don’t have a problem using the Glucose Ketone Index as a measure of weight loss efficiency on a ketogenic diet. However, to us, it seems overly complicated. Why convert your numbers and rely on a chart? 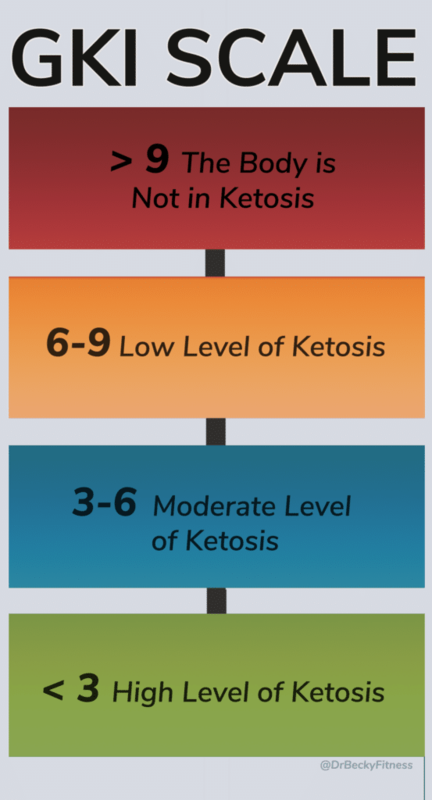 If you get your glucose below 90, for example, and your ketones above 0.5, then you’re doing okay.